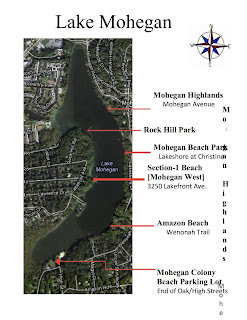 There will be Zoning Board of Appeals Public hearing in 2 days for the subject application; that's June 27th, 2013 at 6:30pm in the meeting room at Yorktown Town Hall. You are advised to show up 15 minutes early, if you want to attend. As always, if you can't make the meeting--you can watch it live on Cablevision channel 20.. There are so many cars parked illegally that it takes 5 minutes for the 200 person church to figure out who's car it is and turn it off. The lush screen of trees, under the proposed new development, will be cut down and a chain link fence installed. Chain link fence instead of a screen of tress. My god, how much more value can my house lose? 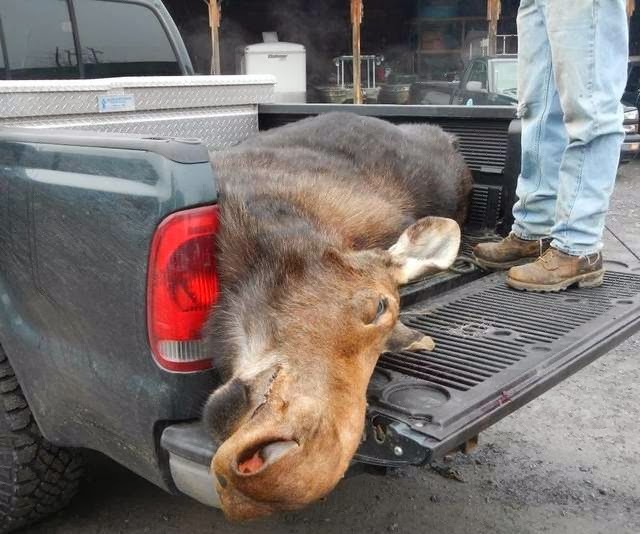 The town refuses to enforce existing laws in spite of years (literally) of written complaints. I really, really wish Yorktown would start being more friendly and supportive of residents and quit letting developers run roughshod over this town. It's not only a quality of life issue, it's a public hazard and devalues all homes in the area. I'm experiencing, first hand, Yorktown's building and zoning machine in action. 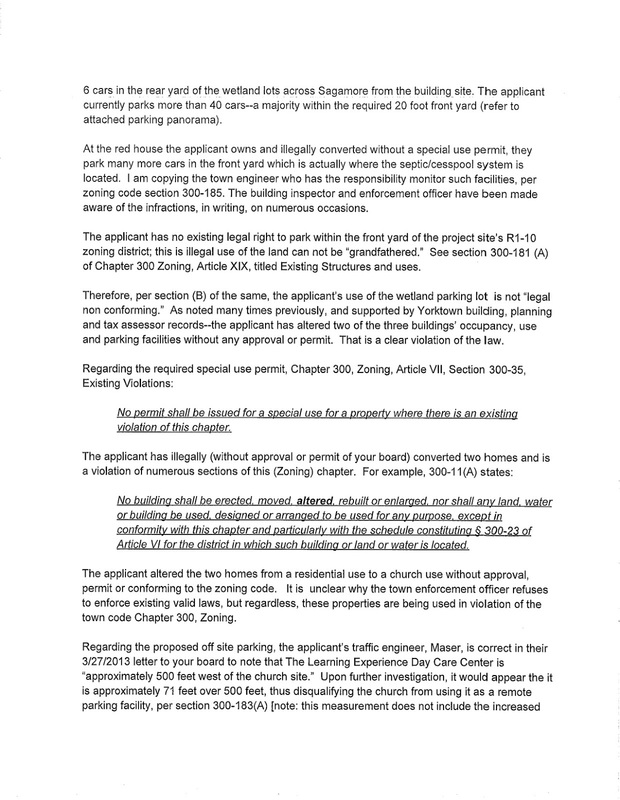 My neighbor is trying to parlay a very small house of worship and two legal single family homes (per building department and tax assessor records the houses were illegally converted) into a huge church. I love the church and would love to see them upgrade their facilities, but we need to be realistic about the occupant and parking loads the site can support. 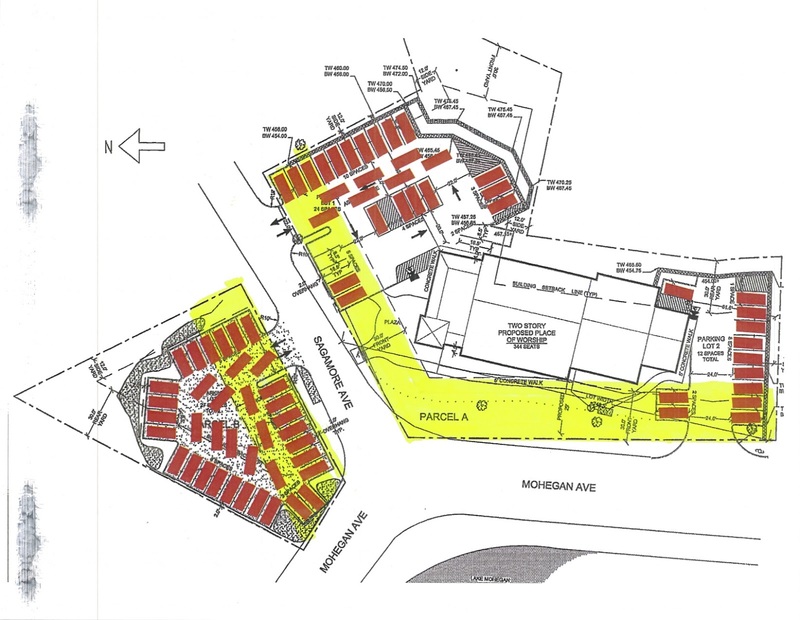 Application #1: Instead of notifying all of the "interested parties" to the planning board application, the applicant only notifies 2 homeowners of the required zoning variances (6 households were notified of the planning app). 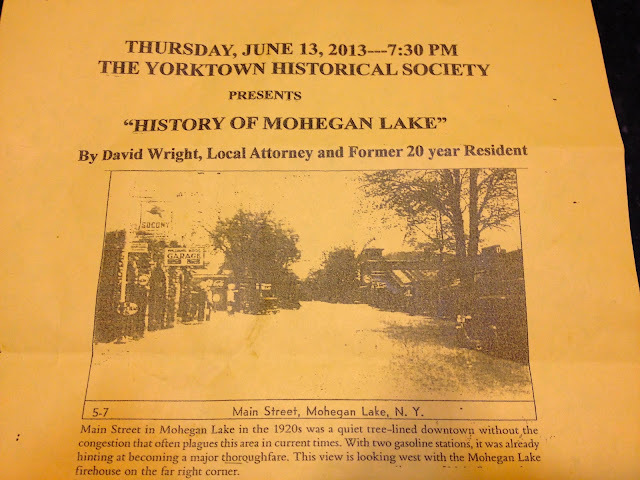 I showed up to the first ZBA hearing, raised numerous, valid and serious questions. 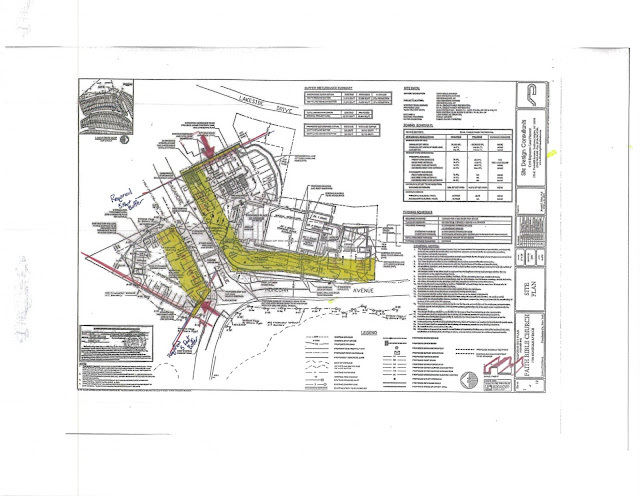 ZBA closed the hearing and approved the variances. I advised the town attorney (representative of the board) that the ZBA should rescind the variance approvals for various reasons. The ZBA rescinded their approval. Application #2: In spite of overwhelming public opposition (oral and written), and in light of the gross and factual parking deficiencies, the ZBA approved the zoning variances. 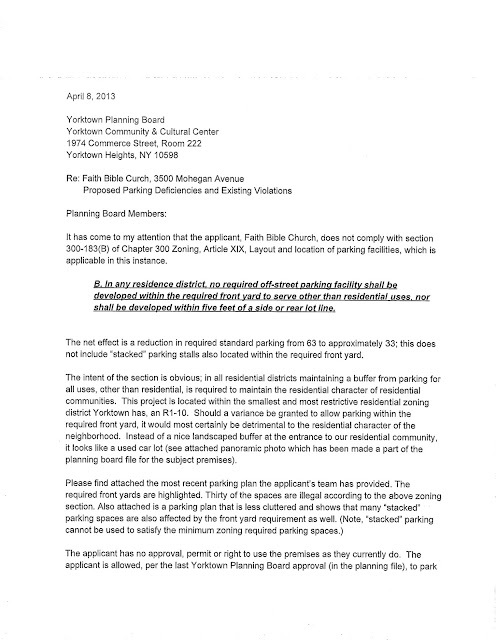 They told me specifically that my concerns about parking would be addressed at the planning board. As luck would have it, we're back at the zoning board to address--among other serious issues--PARKING! Literally. [note: I sued--pro se--and lost, not on merits, but because I didn't notice the church, even though I was challenging the ZBA's determination]. 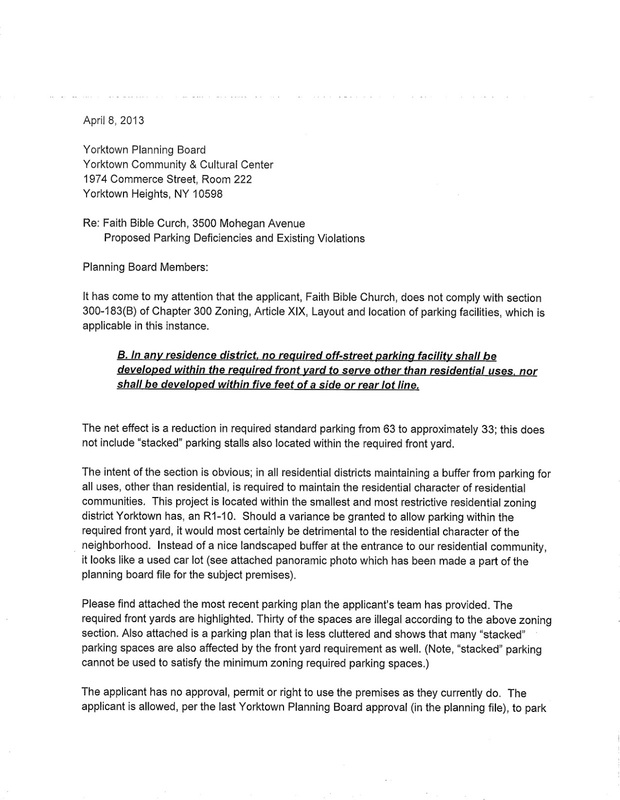 Application #3: I notify the Planning Board that the applicant has overlooked two major variances regarding parking prohibitions in front yards in residential districts (makes sense), and a miscalculated the required front yard (honest oversights by the town's most prominent attorney and engineer--I'm sure). 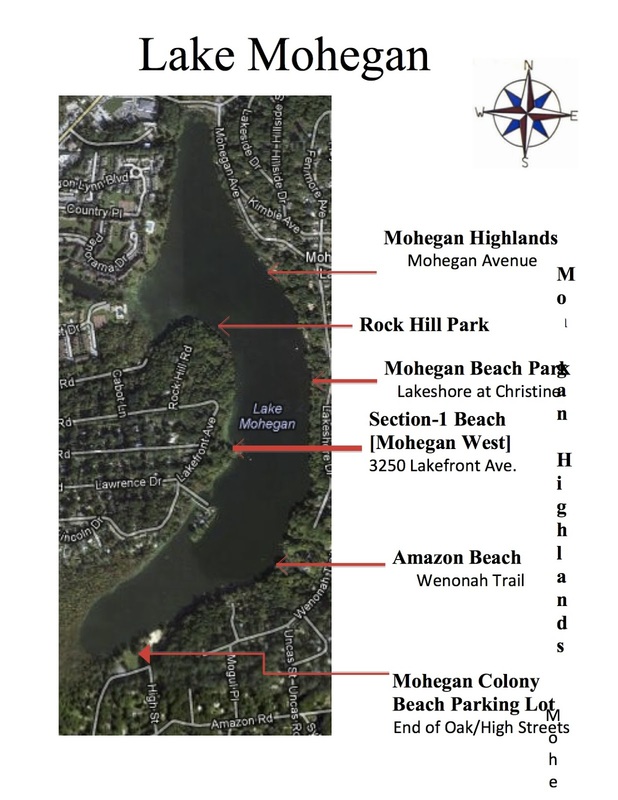 The Planning Board correctly directs the applicant to notify 2 adjacent home owners associations, a park district and the Mohegan Lake Improvement District who were not party to the original planning application in 2009. The applicant hastily makes application to get on the ZBA agenda for April 2013 (they only meet once a month). 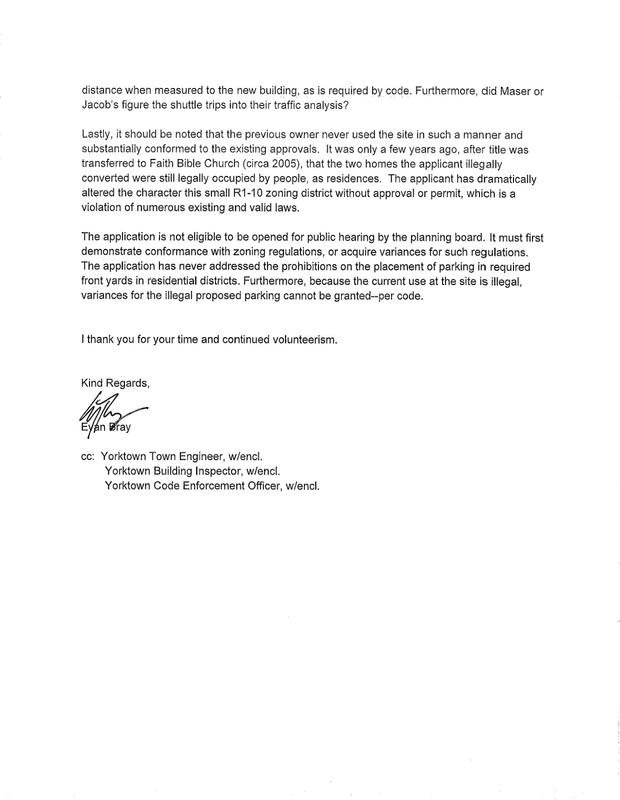 Applicant withdraws the application, voluntarily because there are still glaring deficiencies. Application #4: I won't start picking apart the wild, siding interpretations the applicant's attorney is trying to sell the ZBA in this space; I'll save that for the public hearing, 6/27/13. I made an unsucessful bid to garner the endorsement of the Democratic party for 1 of the 2 open town board seats in the upcoming election based on my love of Yorktown, education and career. My day job is consulting on zoning and building code matters for the City's most prominent building owners, engineers and architects. If I'm having a hard time understanding and navigating Yorktown's planning, zoning and building departments, then I feel for the average homeowner. It shouldn't be this hard. Please keep me in mind if you want substantive change in these areas of government. Hemlock Hill had a fire in April. They lost structures that accommodated chickens, hay and livestock equipment. Bad news for sure. Thankfully the Captain Lawrence Brewery has stepped in to do a week long fundraiser, June 17-22, to raise funds for a barn raising [editor's note: have you ever seen "Witness"? I love Harrison Ford]; there's a Kickstarter Campaign going as well. It should be noted that Hemlock Hill actually feeds its pigs and cows used hops from the brewery. Talk about symbiosis! Beer and and meet, truly united. If you can give do. If you don't already frequent the farm, it's highly recommended. Oh, and Captain Lawrence is a great local brewery. How can you not support them. Have you tried their Sun Block beer. It's a hoppy wheat beer, good with some lemon. Perfect for these 85 degree days in May. I finally lawyered up and actually had dinner with my attorney tonight. 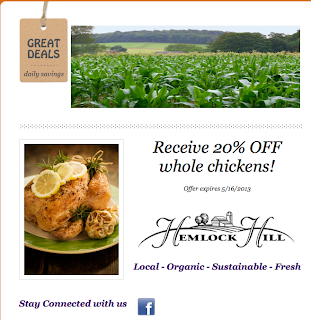 We went to Thyme down on Route 202. It was a pleasant dinner with good service at a reasonable price for the quality. I was pleasantly surprised by a good live music act throughout dinner. Two thumbs up from the Bray house. Said attorney was kind enough to lend me these New York Zoning Law and Practice books, all 4 volumes. Everybody has to have a hobby, right? Seems like Faith Bible is not on the Planning Board agenda for Monday (they could still sneak it in though unadvertised--not unheard of in these parts). Don't bother showing up to the zoning board working session on Thursday; I'll provide a detailed report.